Episode 48 - Amanda Spann - POCIT. Telling the stories and thoughts of people of color in tech. Amanda is the co-founder and marketing director of tiphub Africa . 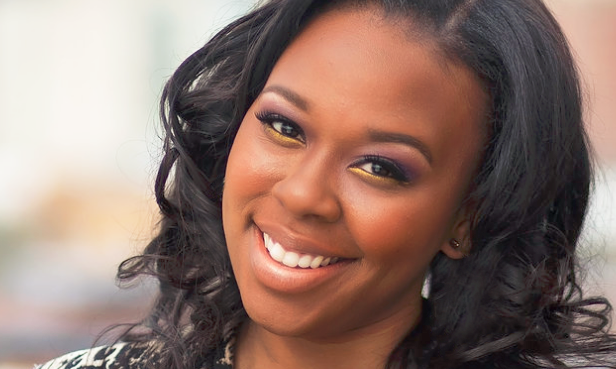 She has been honored as one of Business Insider’s 30 Most Important Women In Tech Under 30, as one of BET’s Blacks on the Brink of Greatness, one of 2016 Walker’s Legacy Power 50 and as one of 5 future leaders in technology by Black Enterprise Magazine. Talk about your company and why you decided to create it! Alchemy is a drink discovery community for sharing, saving, and recommending adult beverages. Curated by your taste and location, we help you find the right drinks and the right drinks find you. We’re a two-way communication channel that acts as the pocket-sized cocktail concierge for patrons while simultaneously supporting bars and brands to engage customers at all points of the buyers cycle, collect relevant data & measure their marketing efforts. I started the company because while traveling I noticed that I found it relatively easy to find a place to eat, but increasingly harder to find a bar suited to my taste. As a craft cocktail enthusiast, I wanted to be able to explore the world in drinks, at home or in new cities at the recommendation of industry leaders and experts. As a marketer, I also noticed bars and brands struggling to connect, re-engage and reactivate consumers like me and spending millions on tactics they couldn’t measure. I saw an opportunity to merge an interest w/ my passion while helping brands meet consumers where they lived by creating an all-inclusive community. What got you into tech? I always had an interest in technology, but I didn’t always see a role for myself in space. After working in the entertainment for a while and several attempts at digital startups, I saw the opportunity to cross over. The two industries have a lot of synergies, and I thought if I could apply what I already know to fill gaps in technology I could be successful here. What was an obstacle you faced and how did you overcome that obstacle? Most of what I have learned about technology and mobile applications has been self-taught. When I first entered the space it was incredibly intimidating always to feel like you were the person in the room with the least to contribute. It was a process learning to overcome imposter syndrome, but I was able to do it by remaining persistent, consistent and diligent. I made a habit out of asking for help when I needed it; I took advantage of all of the learning opportunities I could and I never passed on an opportunity to grow as a professional. Not only did this build my confidence but improved my competencies. I enjoy it. The POC tech community has a great sense of camaraderie and collaboration. I’m not naive to the fact that the odds may be stacked against me as a double minority, but I constantly remind myself that a hill doesn’t matter to a climber. I view the fact that I am black, and a woman is an asset to me as I hold a unique perspective rarely seen in the industry. What was your perception of the tech industry before entering it, what is your perception now? Before I entered the tech space, I bought into the misconception that the only role there was fill was that of a developer. Once I made the leap I learned that a tech company, on the operations front, isn’t radically different than any other business. There are many parts to play in propelling a company forward, and it’s up to you to apply your existing skills where they may be needed. What are three tips you can give to someone who wants to enter tech? What advice can you give about starting your startup? Be willing to invest EVERYTHING in yourself first. If you don’t bet on you, how can you expect anyone else to? Understand that starting up is very much a test of mental fitness, patience, and persistence. You have to do the work to define your problem, validate the market and build something out of nothing – it won’t be easy, it won’t always be fun, but it will be rewarding.